B.J. 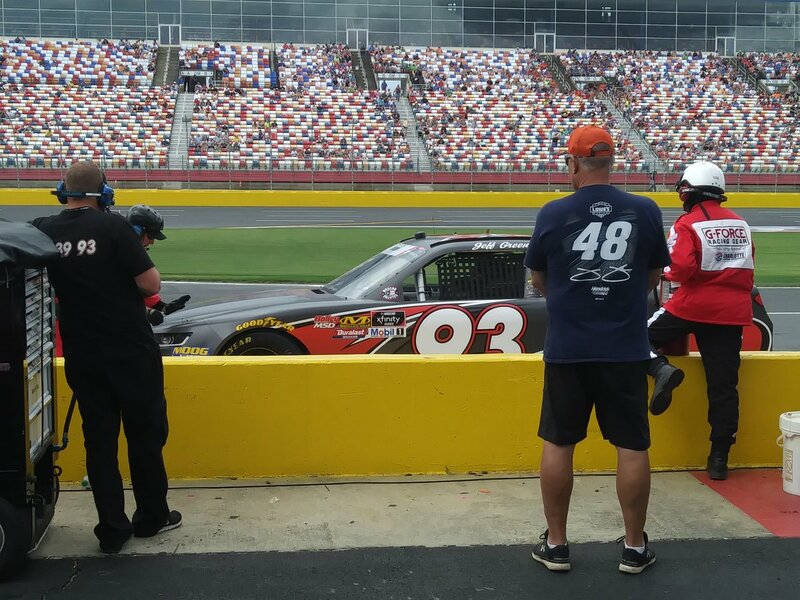 McLeod picked up the 2nd last-place finish of his NASCAR XFINITY Series career in Saturday’s Alsco 300 at the Charlotte Motor Speedway when his #99 Chevrolet fell out with a vibration after 3 of the race’s 304 laps. The finish, which occurred in McLeod’s 79th series start, was his first since July 1, 2016, when he lost an engine after 1 lap of the Subway Firecracker 250 at Daytona. 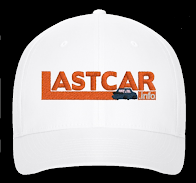 In the NASCAR XFINITY Series last-place rankings, it’s the 11th for car #99, the 134th by reason of a vibration, and the 503rd for Chevrolet. Across NASCAR’s top three series, it’s the 29th for the #99, the 206th caused by a vibration, and the 1,598th for Chevrolet. The Florida-born McLeod has continued to develop his owner-driver operation, at times earning some strong finishes. Last year, he ran 25 of the 33 XFINITY races in both his primary #78 and its team car, the #8, with a best run of 11th at Daytona in July. No less than 11 different drivers shared time in McLeod’s #78 and #8 that season, including last-place record holder Jeff Green, who led 18 green-flag laps at Talladega before finishing 10th, and Tommy Joe Martins, who finished a career-best 11th in a thrilling finish at Iowa. This year, Martins and McLeod also ran strong together at Talladega, threatening for an upset win before a late fuel stop left them 18th and 19th. During the 2017 season, McLeod’s team entered three cars. The third, the #99 Chevrolet, was a coordinated effort with Bobby Dotter’s team SS-Green Light Racing. David Starr ran the full season in the #99 with his own season-best a strong 5th at Daytona in July. Ironically, Starr wasn’t slated to run that race until his replacement, Korbin Forrister, came down with the flu. According to Lee Spencer’s report for Motorsport.com, Starr barely made it to the track on time to practice, then overcame a failing air conditioning system and several crashes to take the spot. Starr’s first top-five finish in a 12-year XFINITY career proved the high point for both driver and team. This year, Starr has moved to Jimmy Means Racing, taking the place of Joey Gase in the #52 Chevrolet. SS-Green Light Racing has also concentrated their efforts on the #76 Grunt Style Chevrolet (formerly the #07) driven by Spencer Boyd. This led to the #99 becoming a part-time operation from the McLeod stable for 2018. Prior to Charlotte, the car had been entered in only the season’s opening three rounds. Following Ray Black, Jr.’s DNQ at Daytona, the car was withdrawn without a driver at both Atlanta and Las Vegas. Charlotte would see the team return with McLeod himself driving it. 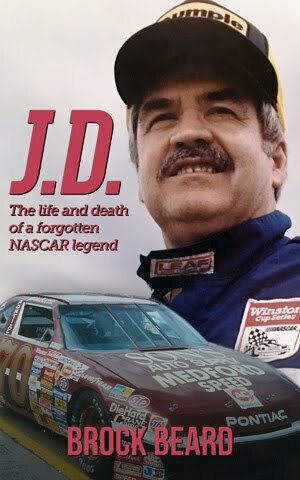 Black would rejoin the McLeod team as well, running the #78. Tommy Joe Martins returned to the #8 for his first XFINITY start at Charlotte since 2014. While McLeod’s #99 didn’t have a primary sponsor, the team did have two associates with round decals placed on the rear quarter-panels. The first, JW Transport LLC of Ripon, Wisconsin, has been McLeod’s primary sponsor in seven races since last fall at Kansas. The other was the team’s caterer, Mellorina’s Catering of Matthews, North Carolina, whose owner was photographed with the #99 in the garage area. McLeod’s trio of cars brought Charlotte’s entry list up to 43 cars, meaning that three teams would fall short of making the 40-car starting grid. McLeod didn’t practice the #99 in Thursday’s opening session, but turned in the 25th-best time in Happy Hour, ranking him ahead of both Martins (33rd) and Black (37th). In Saturday qualifying, McLeod was again the fastest car on his team, though this time just 30th overall with a lap of 177.410mph (30.438 seconds). 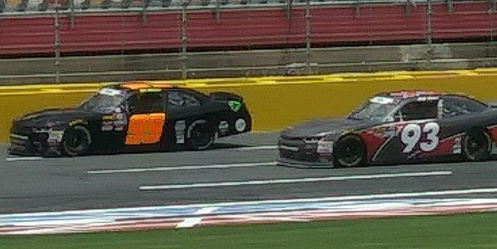 Missing the field in qualifying were Chad Finchum, his first career XFINITY Series DNQ in Motorsports Business Management’s #40 Smithbilt Homes Toyota, plus fellow owner-drivers Morgan Shepherd in the #89 Visone RV Chevrolet and Mike Harmon in the #74 Horizon Transport / Shadow Warrior Project Chevrolet. 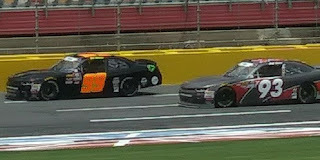 For Harmon, it was the first time the team fielded a Chevrolet Camaro since the team missed the field at Texas in April. Starting last in Sunday’s race was Roush-Fenway Racing’s Ryan Reed in the #16 Drive Down A1C Lilly Diabetes Ford. 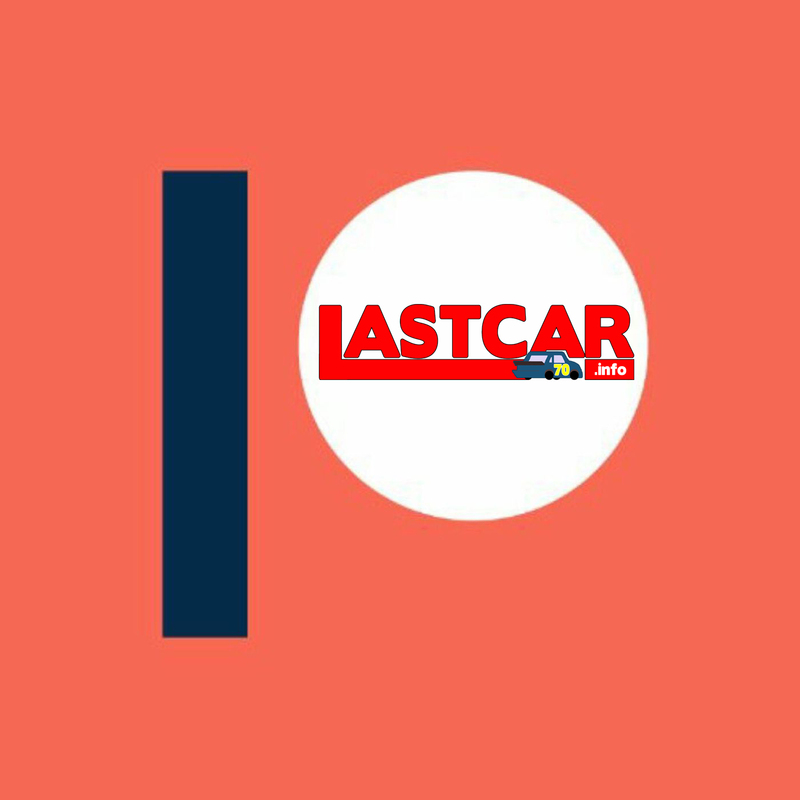 According to Kelly Crandall, Reed’s car failed inspection three times, causing NASCAR to eject crew chief Phil Gould and incur a 30-minute practice penalty for next week’s round in Pocono. Joining him at the rear were 22nd-place starter J.J. Yeley, whose #38 RSS Racing Chevrolet was sent to the back after Yeley missed the driver’s meeting, and Vinnie Miller, sent to a backup car after an incident in JD Motorsports’ #01 JAS Expedited Trucking LLC Chevrolet. The last-place battle was settled in the opening 23-lap green-flag run. McLeod was first to go behind the wall, followed two circuits later by all-time last-place leader Jeff Green in the #93 RSS Racing Chevrolet. McLeod tweeted on Sunday that the #99 was a brand-new car from his stables, and a vibration caused him to park it rather than risk a wreck. 38th fell to Josh Williams, who had an oil leak on his #90 Star Tron / Star Brite / Sleep Well Chevrolet. Williams later returned to the track in relief of DGM Racing teammate Alex Labbe, who suffered heat exhaustion in his #36 Can-Am / Wholey / Cyclops Gear Chevrolet. Williams wrecked on the backstretch on Lap 148, leaving the #36 in 34th. Rounding out the Bottom Five were Chase Elliott, his first week in relief of Spencer Gallagher driving the #23 Hooters 22nd International Pageant Chevrolet ended with transmission issues, closing an afternoon where he’d finished 3rd and 7th in the opening two stages. 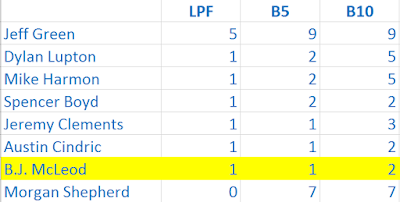 36th went to Yeley, who led Lap 49, but suffered a broken fuel pump after 134 laps. Kaz Grala's #61 during Fury Racing LLC's successful debut. A strong run was turned in by Fury Race Cars LLC, which made its team debut at Charlotte with Kaz Grala in the #61 NETTTS Ford. Although the car was one of three given to the team by JGL Racing as part of Grala’s severance with James Whitener’s operation, Grala steered the machine to a 10th-place finish, his second-best finish of the 2018 season behind a 4th-place showing at Daytona. 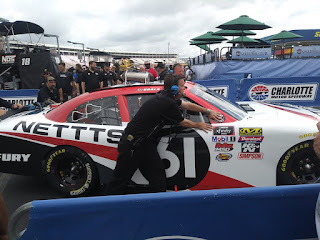 It was also the first XFINITY start for a car #61 since August 7, 2010, when Chase Miller finished 39th at Watkins Glen for team owner Charles Shoffner. Fury Racing LLC plans to enter Grala in the next three rounds at Pocono, Michigan, and Iowa, at which point the rest of their 2018 schedule will be determined. Also turning in a strong run was Talladega last-placer Spencer Boyd, who finished 21st in a new patriotic paint scheme on the #76 Grunt Style Chevrolet. The run is Boyd’s career-best in the XFINITY Series. Ryan Sieg finished 13th in his #39 Night Owl Chevrolet, his second-best finish of the year behind a 6th at Talladega, and his sixth top-twenty finish in the last seven races. 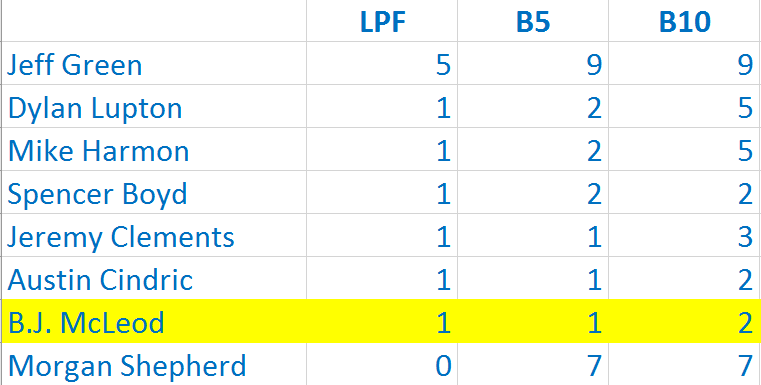 The run now puts Sieg within 13 points of catching Michael Annett the final spot in the Playoff rankings (once the suspended Spencer Gallagher drops further in the rankings). 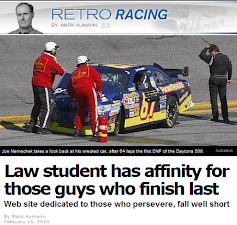 McLeod's weekend continued into Sunday, where he continued his second part-time Cup season for Rick Ware Racing. Originally slated to run a new second car for Ware, the #52, McLeod was again entered in the #51 Chevrolet he ran at Kansas and last week's Monster Energy Open. This time around, McLeod pulled into the garage past the halfway point with a broken wheel stud and returned to action Lap 281 en route to a 33rd-place finish. *This marked the first XFINITY Series last-place finish for car #99 since August 18, 2017, when David Starr wrecked out after 11 laps of the Food City 300 at Bristol, 22 races ago. It’s the first time the number has finished last in an XFINITY Series race at Charlotte since May 26, 2007, when David Reutimann’s #99 Aaron’s Dream Machine Toyota lost the engine after 4 laps of the Carquest Auto Parts 300.